South America countries to Visit – Our second post of this series of top countries to visit – Brazil is a country filled with remarkable culture, activities and experiences. With its long history, Brazil is a destination for ruins and museums. It’s also one of the best places in the world to catch a soccer match, sunbathe on a popular beach or dance to the sound of a good Samba. Brazil is a feast for the senses. From gritty urban streets to the Christ the Redeemer statue presiding over Rio de Janeiro, this uncommon country features welcoming locals and an ancient culture that will endure for centuries. One of the best ways to experience any culture is through its cuisine, and Brazil is no exception. The national dish is feijoada, a hearty black bean stew that includes meats like beef and pork. Favorite accompaniments include cabbage and white rice. 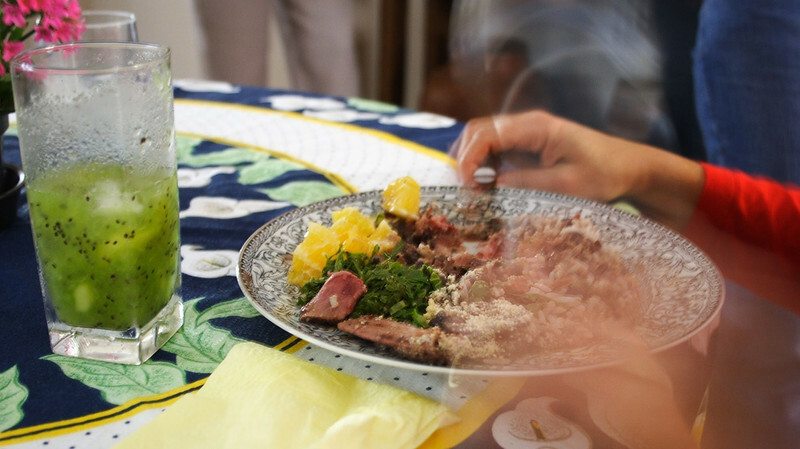 For a truly authentic experience, wash the meal down with a rum, sugar and lime drink called caipirinha. This hard liquor cocktail packs a serious punch, but this national drink must be experienced. Another indispensable culinary experience can also be had throughout the country. Rodizio restaurants are essentially steakhouses where servers visit the table with giant skewers packed with mouthwatering meats. The servers come back again and again with different meats until the diners have had their fill. This signature Brazilian experience is truly not to be missed. After sumptuous dining, some relaxation is in order. 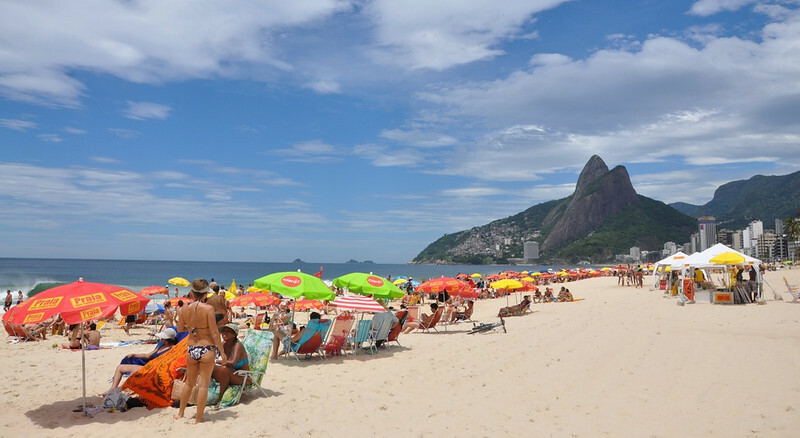 Fortunately, Brazil has a number of gorgeous beaches that are suitable for lounging and people watching. There’s Rio’s Ipanema for gazing at the beautiful people or the countless secluded stretches found in the Fernando do Noronha archipelago, which is also a popular spot for divers. Some of Brazil’s natural wonders include the astoundingly powerful Amazon River where you can take a kayak or canoe adventure. The surrounding rainforest is filled with wildlife and stunning vegetation. Active travelers (Central America Adventure) will want to trek or bike in the Chapada Diamantina. Buttes, waterfalls and water slides are just the beginning of the attractions. In the cities, visitors flock to the Pinacoteca do Estado in Sao Paulo to see Brazilian art and Salvador’s Mercado Modelo to pick up souvenirs that include items handcrafted by local artisans. In Belém, visitors are drawn to the Ver-o-Peso Market where they can see rare and unusual Amazonian fish and fruits for sale alongside mysterious love potions and assorted trinkets. Brazil is a festive country, and it’s possible to attend a celebration in any season. Of course, the most famous of these is Rio’s Carnival. Often labeled as the largest party in the world, the spectacle of Carnival is one that will never be forgotten. The raucous parades, live music and feasting is a one-of-a-kind experience. The country is also known for its New Year’s celebration and the Passion Play in Nova Jerusalem. No matter how you choose to experience Brazil, you’re certain to be affected by the grandeur of its landscapes, the warmth of its people and the richness of its culture. Not so long ago, if you’d mentioned the words ‘eco-tourism’, most people wouldn’t have known what you were talking about. Now however, eco-tourism is the latest buzz word, with more and more travellers choosing to go green. With the multitude of luscious locations in Brazil, it’s hardly surprising that eco-tourists are heading there in droves. Below is a guide to some of Brazil’s best eco-hotels. 23 quaint bungalows perched on stilts and nestled amongst the Amazon Rainforest make up the romantic Juma Lodge. Located near Manaus in Northern Brazil and reachable only by boat or hydroplane, the lodge is perhaps at its most picturesque during the flood season, when the water level rises up to 15 metres (hence the stilts). The lush surroundings provide countless opportunities for entertainment and the eco-tourism activities available at the Lodge include alligator spotting, an overnight stay in the jungle and even piranha fishing. Juma Lodge was constructed mostly using materials from the surrounding forest. Timber from trees such as the Angelim and Tintarana were used for everything from the walls to the stilts, and Babacu leaves make up the roof. For the eco-conscious holiday-maker who doesn’t want to have to skimp on the finer things, Pousada Picinguaba is the answer. Located half-way between Rio and Sao Paulo, Picinguaba achieves the difficult balance of being remote whilst still being easy to get to. The hotel is located in the Natural Park of Serra do Mar and is nestled beachside. Though Picinguaba is luxurious the focus is on enjoying nature at its finest, hence the fact that there is no air-conditioning, internet, TV or telephones provided in the rooms. From a green perspective, the hotel currently uses energy saving motion-sensor lighting and hopes to soon be completely solar powered. Showers are limited in an effort to conserve water and the hotel has its own, entirely ecological, septic tank. Plastics and glasses are recycled and any organic material is disposed of at the hotel’s compost heap. Located in the Southern Amazon, Cristalino Jungle Lodge boasts its very own private reserve, spanning 29,652 acres. Guests can choose between private bungalows or shared rooms for their accommodation. The guest capacity at Cristalino has been intentionally kept small so that visitors get maximum attention from the staff. The garden at the hotel is made up entirely of native plants so as to not disrupt the region’s ecosystem. Cristalino’s policy is one of maximum interaction with nature with minimum impact. Trails can only have eight people on them at any given time and where possible canoes are used rather than motor boats. The Do Lado De La Eco Lodge is perched in the mountains of Aiuruoca (inland from Rio) and the climate is such that wildlife abounds. At this simple lodge food is cooked on wood stoves and most of the water comes from the nearby river. Some of the activities on offer are horse riding, mountaineering, mountain biking, trekking and bird-watching. Do Lade De La holds their environment dear and they protect it by recycling, using a compost system and having a hydroelectric generator for energy. Environment and culture obviously go hand in hand and for travellers wishing for a truly holistic experience, learning the language of your destination country is a great idea. For those British travellers wishing to take Portuguese classes London is a great place to start. Language schools such as can help – what better way to prep for a trip to Brazil than to learn a few phrases in Portuguese? 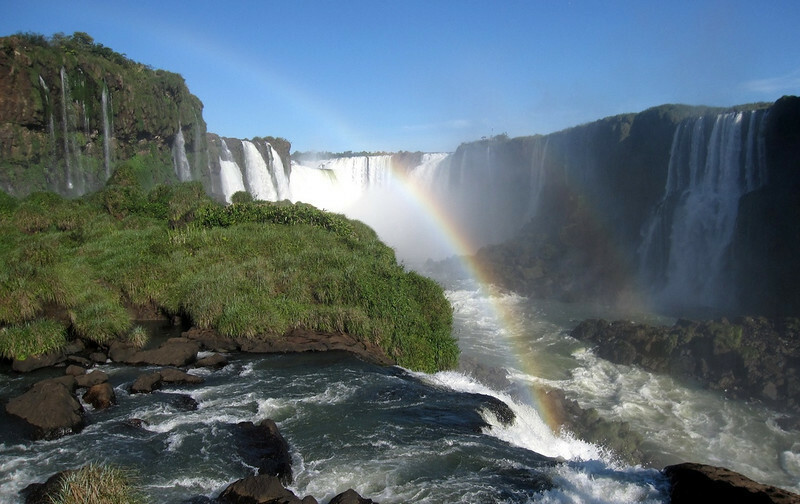 Stay tuned for more in our series Top Countries to Visit in South America. Travelers from all over the world plan beach get-a-ways to relax and soak up the sun, especially during cold winter months to Escape Winter. If a tropical vacation is what you love, then check out beaches in top Central American countries such as Honduras, Costa Rica, Guatemala, Belize and Panama. With a variety of water activities, colorful culture and friendly people, you’ll enjoy every moment of your vacation. For a tropical vacation of deep sea diving, explore the vast array of reefs in this area. The most popular beaches are Sandy Bay and West Bay, with great little cafes dotting the coast line. If you love horses, enjoy the afternoon horseback riding along the beach. Those who love the water, scuba diving, snorkeling and swimming amongst tropical fish can be a fun and educational experience for everyone in the family. This lovely beach is perfect for those who enjoy searching for shells or swimming with the tropical fish. 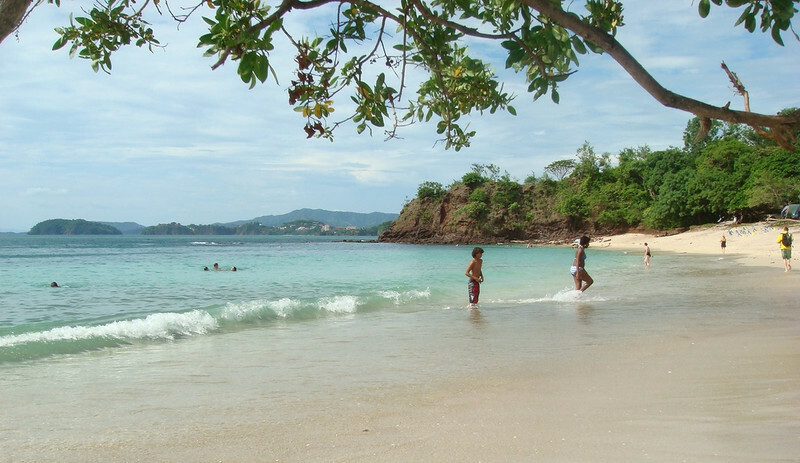 Playa Conchal is composed of tiny shells instead of sand, one of it’s main attractions among both locals and tourists. The clear blue waters of the Gold Coast offers, not just water activities, but also golfing, hiking and visiting nature reserves in the area. For those seeking luxury, stay at one of the many resort hotels in Playa Conchal, and more affordable hotels can be found only 10 minutes away in Brasilito Guanacaste. Less than an hour from Livingston is the only coral beach in the country of Guatemala. The white sand beaches and high waves of Playa Blanca attract beach lovers and surfers from all over the world. Enjoy the quaint colorful town of Livingston or take a trip by boat to Playa Blanca to enjoy tranquil views of coconut trees, the sandy coastline and warm crystal clear blue waters. 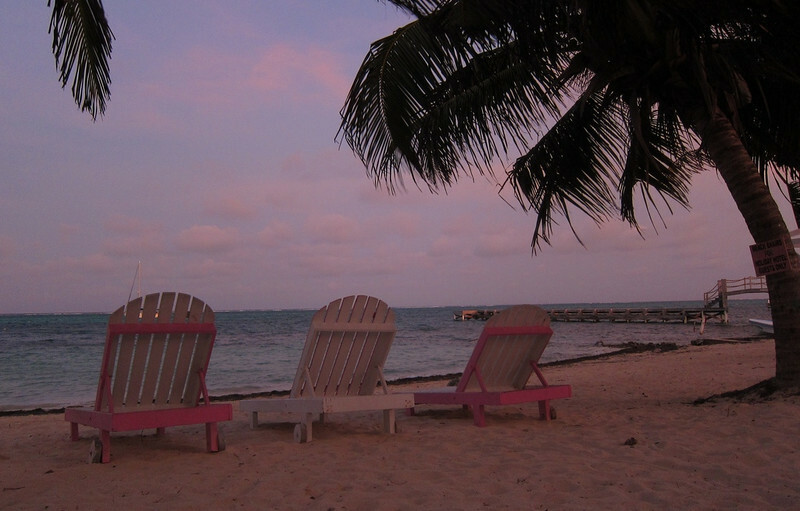 San Pedro is the only town on the largest island in Belize, Ambergris. The spectacular reef system is the second largest in the world. 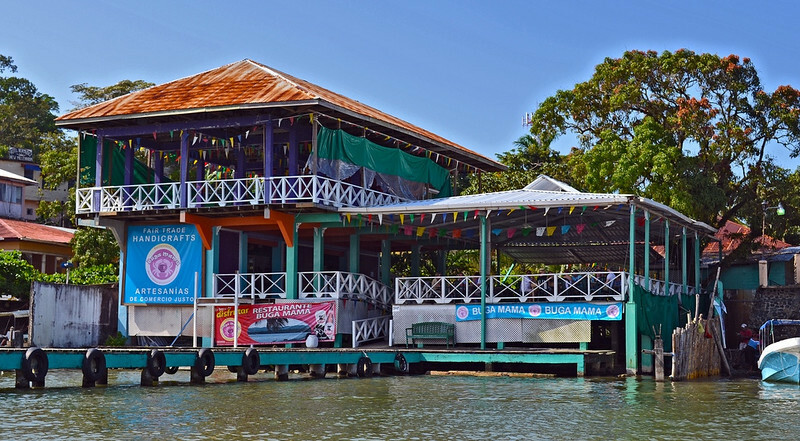 The 25 mile long island, known as the water sports capital in Belize, offers a variety of activities such as scuba diving, snorkeling, tubing in limestone caves and parasailing. Beautiful weather, lovely beaches and “knock your socks off” sunsets are only a few of the favorites in Ambergric, Caye in Belize. 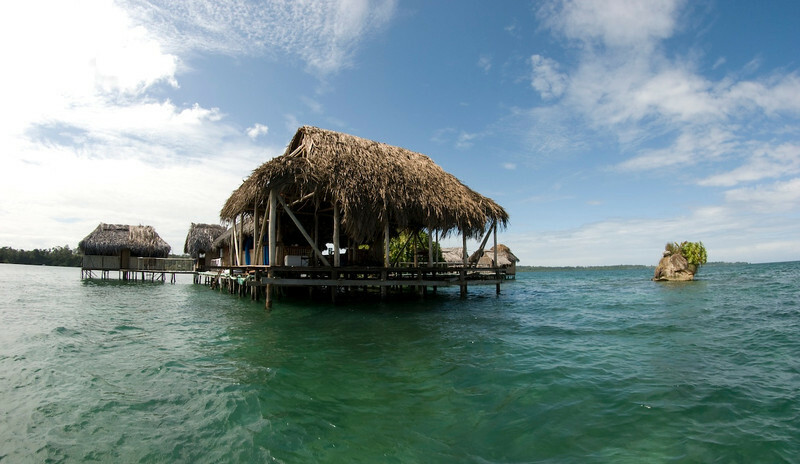 Bocas del Toro boasts two national parks, a total of nine islands, and lush tropical vegetation. Banana plantations dot the countryside of Bocas del Toro and it’s a top location for all kinds of tours, from snorkeling to hiking. Deep sea diving is a favorite sport with boating and surfing a close second. Known for it history and diverse culture, Columbus founded this lovely paradise in the year 1502. South American wines are known for being food-friendly, reasonably priced, and very drinkable. Many South American countries have produced wines historically, and over the past few decades, the quality and distinctive character of these wines have increased significantly. Chile’s unique geography makes it an ideal country for growing grapes. Long and thin, bordered by the Pacific Ocean and divided by the Andes, it has a mostly dry and arid climate. Plenty of sunshine and good soil earn Chile the rank of 9th wine-producing country in the world, and the 4th in imports to the United States. 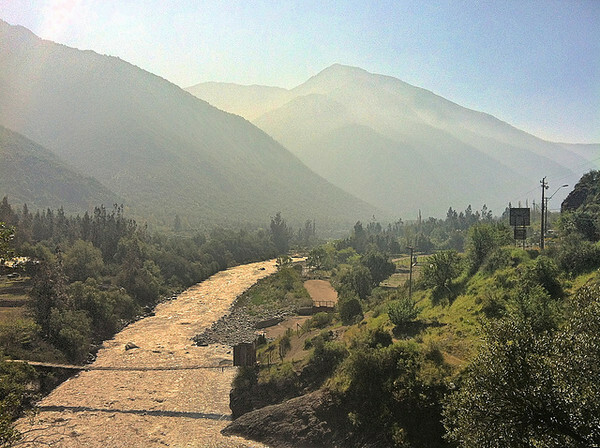 The wine-producing Central Valley stretches from the Maipo Valley, just south of Santiago, down to the Maule Valley. Chardonnay, Sauvignon Blanc, Cabernet, Merlot, and Chile’s most famous varietal, Carménère, are all produced in the region. Currently, winemakers are experimenting with Chile’s cooler, coastal climate as a place to make Viognier, Riesling, and Gewürztraminer. Charming haciendas and cowboy culture await visitors who make the trip out into the valleys. 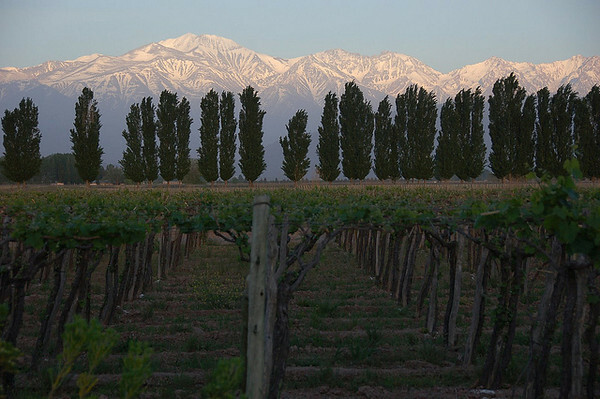 As the other big name in South American wines, Argentina is known primarily for its Malbec, although it also produces great Cabernet Sauvignon, Tempranillo, Chardonnay, and Torrontés. Visitors to Mendoza don’t even have to leave the city proper to experience these delicious wines; tasting rooms, such as Vines of Mendoza, are a great way to sample all that Argentina has to offer. Renting a bike from a local company and taking a self guided tour is a great way to get out of town and explore some nearby wineries. For those that overdo it, the lomito sandwich is a surefire hangover cure. A lomito completo includes sliced steak, a fried egg, ham, and cheese, and more! 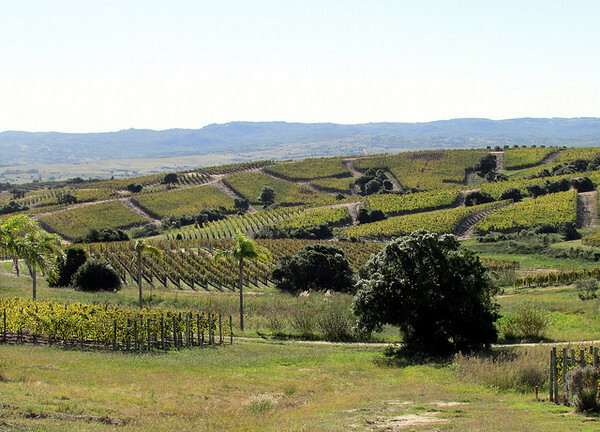 Uruguay isn’t as celebrated a wine producer as its neighbors, but that is changing. Originally named for its tannic qualities, the Tannat produced in Uruguay’s clay soils is much smoother and more sophisticated than that grown in France. Montevideo’s lovely waterfront is the perfect location to relax and crack open a bottle. 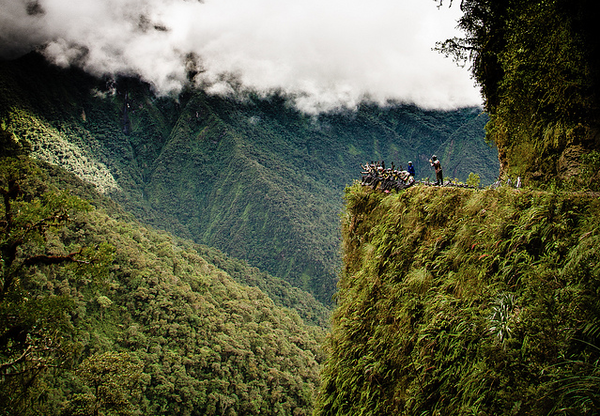 Biking The Death Road In Bolivia! What’s it like to ride the world’s most dangerous road? Backpacking is about many things. Culture, People, Exotic new foods, Getting lost in an arid scrubland surrounded by ravenous wild beasts. It’s all part of the experience. Adventure is pretty high up the list as well. And travel doesn’t get more adventurous than the possibility of a moderately dangerous and adrenaline-fueled journey. 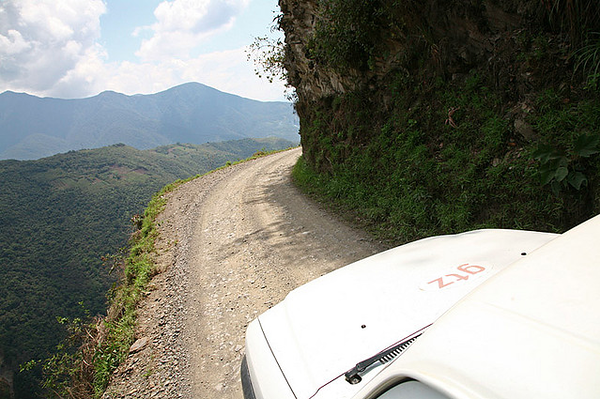 The North Yungas road in Bolivia is one such adventure. And more of that later. This 69-kilometre stretch of road starts out at an altitude of 4,700m in the bitterly cold mountains north-east of the capital La Paz, and finishes at a subtropical 1,200m in the humid town of Coroico. The Yungas road has gained its ‘Death Road’ reputation over the years due to the thousands of deaths along its route. In 1983 a bus plunged over the edge of the road, killing more than 100 people. It was Bolivia’s worst road accident. In 2006 a new, safer asphalt highway was built that bypassed the Death Road and cut the fatality rate, but before this an average of 200-300 people died on the road every year from crashes and falls. A chilling reminder to take out bike insurance before any road trip. It’s not surprising many have long considered the old La Paz-Coroico journey The Most Dangerous Road in the World. 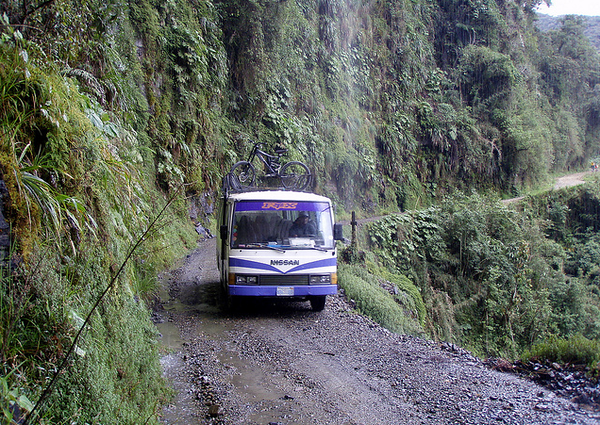 But even with the modern bypass, the Death Road in Bolivia is still a perilous place to be. It’s a tight, twisty dirt track, barely wide enough for one vehicle. There are blind corners and no guard rail to protect you from the 600-meter drops into the abyss. In the wet season the rains combine with gravel and mud to create a treacherous gauntlet that challenges every driver and cyclist, regardless of ability or experience. Add poor visibility and momentary lapses of concentration into the mix and it’s easy to see why more than a dozen thrill-seeking riders have lost their lives in the last decade, in addition to numerous local drivers and their passengers. Now, I know what you’re thinking: this sounds kind of dangerous, right? It does, and it is. But riding the Death Road in Bolivia is also one of the country’s biggest tourist attractions, and there are many different companies that offer to guide you down the route. Gravity, the most established local adventure tour company, charge US$110 to do the trip. However, when I arrived at The Adventure Brew Hostel in La Paz during early December, I learned Gravity don’t run trips down the Death Road during the wet season (December – February) as they consider it too dangerous. So I found El Solario, a cheaper company that run the Death Road throughout the year, rain or shine. This wasn’t some faceless danger-merchant, though; El Solario was safe, organised and friendly. The day we headed out was bright and clear. We were a group of six: me and my travel buddy Beat; two Swiss backpackers; two Aussies; our German guide Christopher; Bolivian driver Alberto – who travels the Death Road every. I was a little nervous before starting off. I don’t even like going on the fast rides at theme parks. And this was going to be one hell of a fast ride. The first segment of the road is all icy asphalt in the frozen mountains outside La Paz, but it’s actually pretty safe. This part of the road is a beautiful stretch of highway to ride, surrounded by epic wintry vistas, vast valleys and roadside waterfalls. It’s only when you descend down to the temperate greener world beneath the mountains you become aware of the road danger. You ride through more waterfalls along a gravelly, stony dirt road, racing through the spray and earth through numerous sudden changes in elevation. While this is fun, some reality hits when you see crosses marking the spots vehicles have veered over the edge of the road into the deep valley below. Occasionally tires and shards of metal come into view just beyond the periphery of the road; mechanical carcasses that fell victim to the precarious plight of local travel in this part of the world. Descending the Death Road puts you into a state of dizzy euphoria, tempered with the cautious reserve that lends itself to being super sensitive on the brakes. 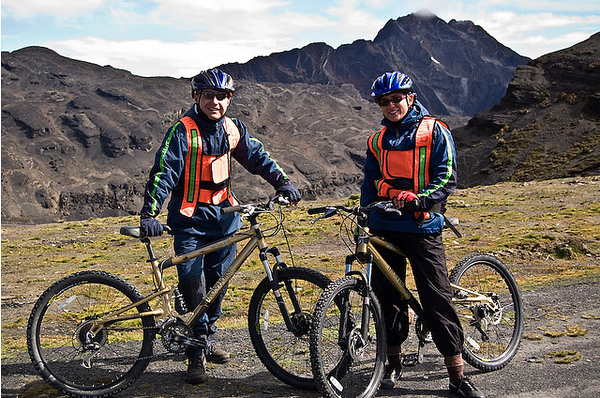 It takes about four or five hours to cycle the Death Road from start to finish, and it’s virtually all downhill, although the few kilometers uphill were pretty tiring at that altitude. I was by far the slowest member of our group on the most dangerous sections of the road, but I refused to try and keep pace. People die on this journey by going beyond their skill and comfort level. The Death Road adventure is marketed on danger and adrenaline, but I found the most enjoyable aspect of the day was the awesome scenery, and the contrast between starting the day in the mountains wearing jackets, gloves and trousers, and finishing on the muggy valley floor wearing t-shirt and shorts and getting bitten by busy mosquitoes. After the last leg of the trip we all enjoyed one of the most refreshing cold beers I’ve ever drunk. I was sweating, sore and exhausted. We had some food and Alberto drove us back up the Death Road to La Paz, which was probably a more nerve-wracking experience than the trip down, as you have no control over your own destiny. For about 40 minutes, my life was in the hands of a mischievous-looking old Bolivian driver. I decided not to sit on the side of the minibus which overlooked the precipice. I settled into a seat on the opposite side and started thinking about the trip. When we hit asphalt again I literally breathed a sigh of relief. My thoughts on the Death Road in Bolivia? This dangerous stretch of Bolivian highway might be responsible for thousands of deaths, but if you don’t push past your personal limits and cycling ability you’ll probably be fine. After all, more than 25,000 tourists have faced the road and come through unscathed. In the hostel that night everyone from the trip admired their ‘I survived the Death Road’ tees and relived the experience over a few beers. The experience of taking on The World’s Most Dangerous Road is a highlight of backpacking through Bolivia, maybe even a highlight of South America overall. In a separate article I’ve picked it as one of the gap year things to do before you die and I stand by that choice. 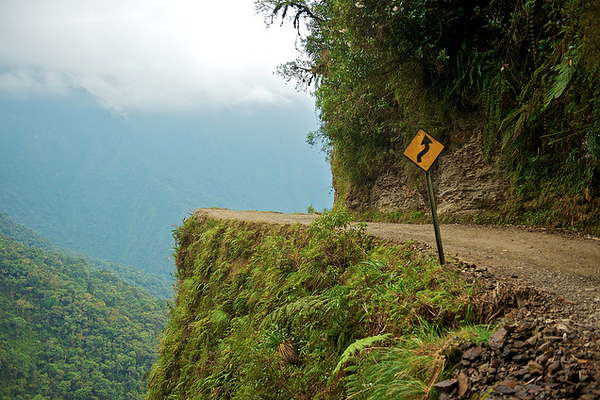 The Death Road in Bolivia is fast, dirty and electrifying. The landscape is dramatic, diverse and beautiful. I recommend it to you, whatever your cycling ability. And with a bit of luck, you might just live to talk about the experience. Mexico offers a variety of cultural attractions, busy city life, scrumptious cuisine, gorgeous white sandy beaches and warm weather year round. This country has been chosen as one of the top travel destinations. 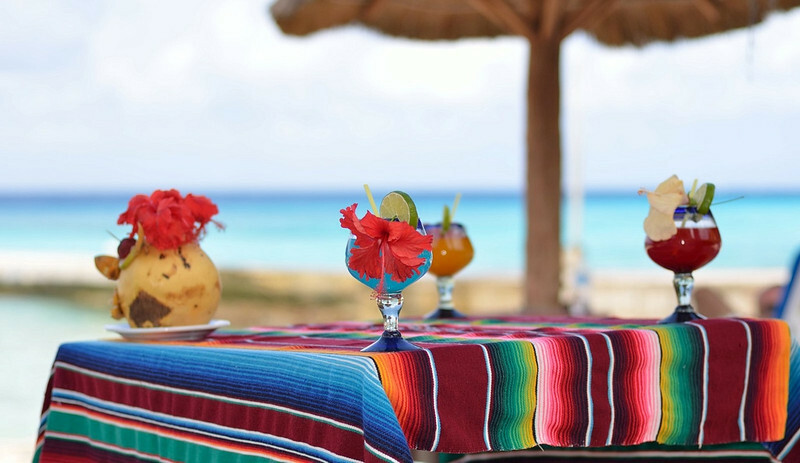 Next year promises to be an exciting time for vacationers as Mexico continues to offer more attractions welcoming guests from all over the globe. Although one of the busiest countries visited by tourists worldwide, Mexico is large enough to provide all kinds of attractions for all types of travelers. Its rich colorful culture provides any visitor with hundreds of activities, learning experiences and destinations. 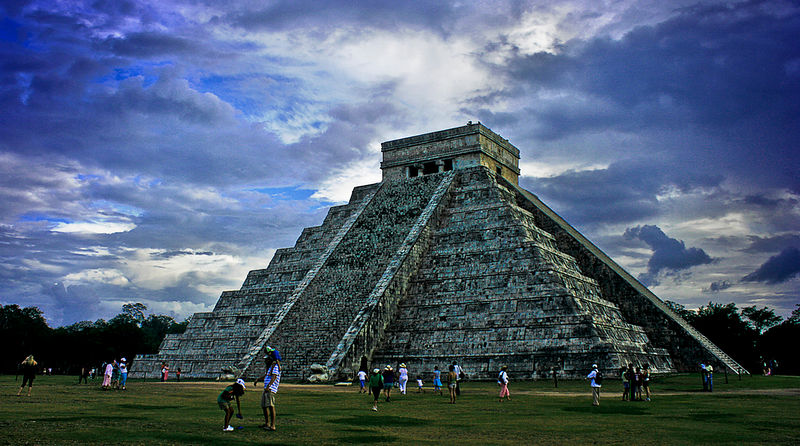 Visit archaeological sites such as Chichen Itza, Tulum, Palenque or the world famous pyramids of Teotihuacan. Mexican cuisine is simply among the best in the world, every region of the country has it’s own dishes and each are unique. Enchiladas and tacos are among the favorite as well as quesadillas, tamales, pozole, sopes, huaraches and the very spicy mole. Of course you can’t leave out a nice glass of horchata, a bottle of Corona beer or even a shot of tequila. 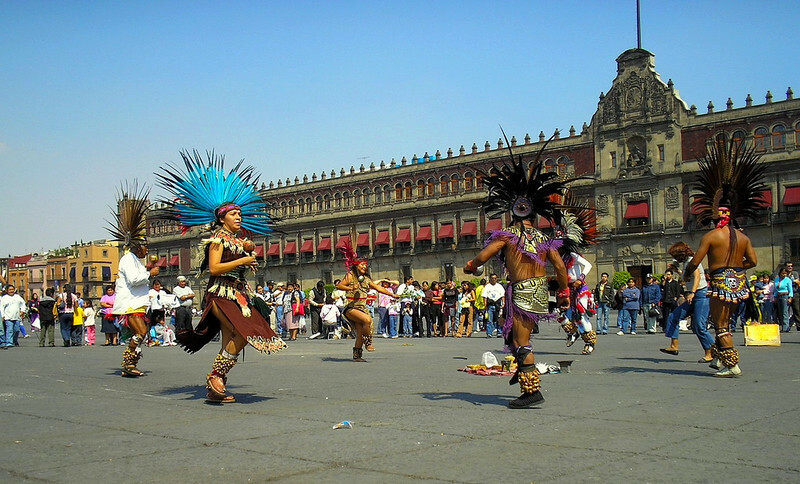 Mexico City is enormous and offers activities for all types of travelers, families included. The Chapultepec Zoo is a must visit if you’re traveling with kids, so is the Children’s Museum. The D.F. 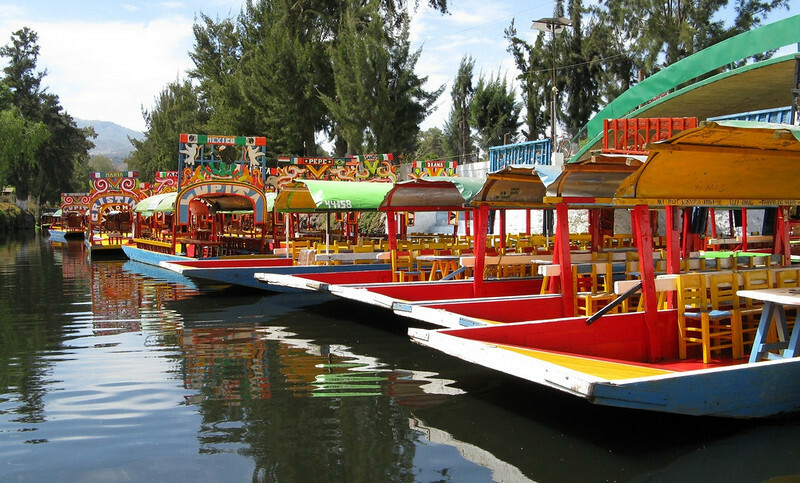 area is packed with great shopping, restaurants and even cultural attractions such as the historic center, the “floating gardens” of Xochimilco and the icon of the city, the golden Angel of Independence. World-class beach resorts are a huge destination in this country, the most popular being Cancun, Cozumel, Puerto Vallarta, Tulum, Playa del Carmen, Cabo San Lucas and many more. Most of these areas offer pristine white sandy beaches and crystal clear waters. 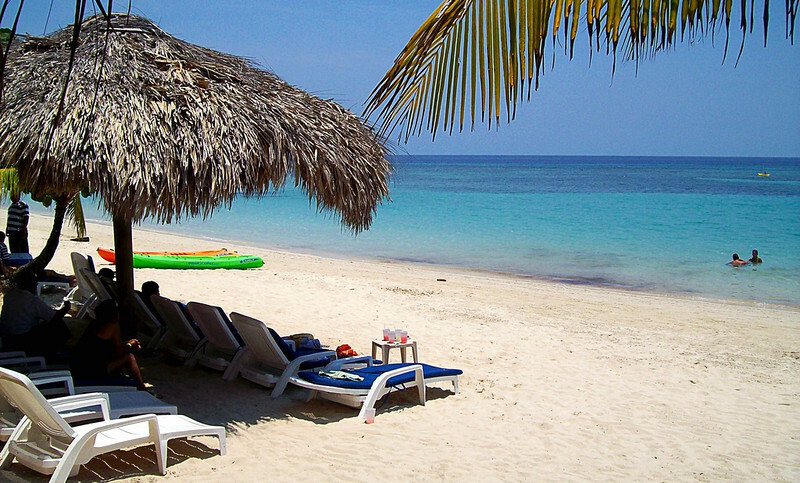 Diving is the main sport in these beaches as well as snorkeling and sunbathing in Mexico. The Mexican Riviera is renowned for it’s world class diving. Beaches such as Cozumel house more than 18 miles of reefs with 200 species of tropical fish and an underwater visibility of over 100 feet. Beaches such as Cancun also offer family activities such as the Interactive Aquarium where you can swim with the dolphins and the Cancun Mayan Museum. If diving is not your thing, most beaches offer top resorts and retreats where you can indulge at the spa, lounge around the pool, play some golf or just enjoy a margarita on the beach. The resort city of Puerto Vallarta has many exciting attractions for visitors. It has amazing nightlife with top restaurants, nightclubs and outdoor performances. The most popular beaches in Puerto Vallarta include the lively beach of Los Muertos. Other attractions close by are Garza Blanca Beach where you can enjoy a quiet peaceful picnic or Boca de Tomatlan Beach, which offers a great hike through a tropical rain forest. For travelers that enjoy cultural attractions, Mexico has top destinations where you can learn about Mayan history, visit impressive ruins or take part in annual festivals and activities. The pyramids of Chichen Itza are the largest of the Maya cities in Mexico’s Yucatan peninsula and also the most visited destination in this area. The archaeological site of Palenque is much smaller but showcases the finest sculptures the Mayans ever produced. A popular festivity in Mexico is the celebration of the Day of the Dead and a huge attraction for tourists. 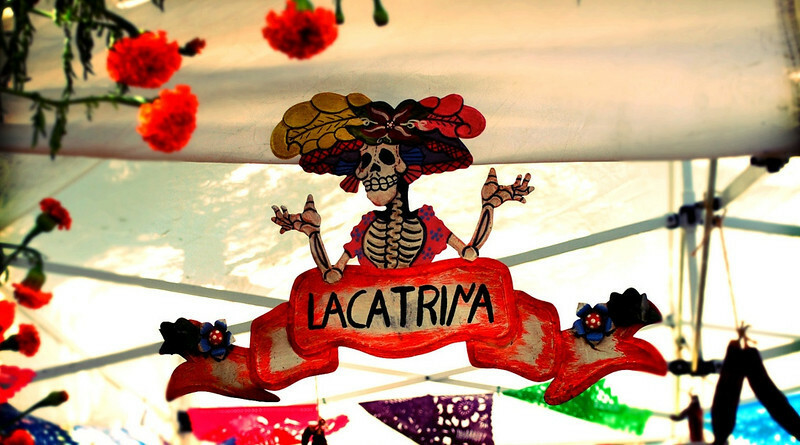 This festival takes place in early November, families gather to pray for the dead whilst honoring them with candy, sugar skulls and thousands of colorful flowers. Other popular events are Candle Mass Day, Día de los Reyes, Easter Week and many carnivals across the country. Mexico is a fascinating country with vibrant culture, exciting history, friendly people and beautiful nature. There is nothing quite like Mexican food. The spices and flavors have made the food a favorite among people all over the world. From tortillas and quesadillas to Tacos and Guacamole, Mexican cuisine is a feast to the senses. Many people visit the country purely to taste the wide range of traditional dishes, and always wash it down with some tequila. If you’re not a fan of tequila, a non alcoholic drink you must try is the Champurrado, a thick chocolate drink. The great thing with Mexico is that you don’t have to go to five star restaurants to taste quality Mexican fare, in fact, the best food is often found at the local markets. Long, white, sandy beaches line the coastlines of Mexico, and a few days by the beach would be well spent. Some just want to relax in the sun and go swimming, but if you’re up for something more adventurous there is great scuba diving, snorkeling, sea kayaking, sailing and even surfing to be had. 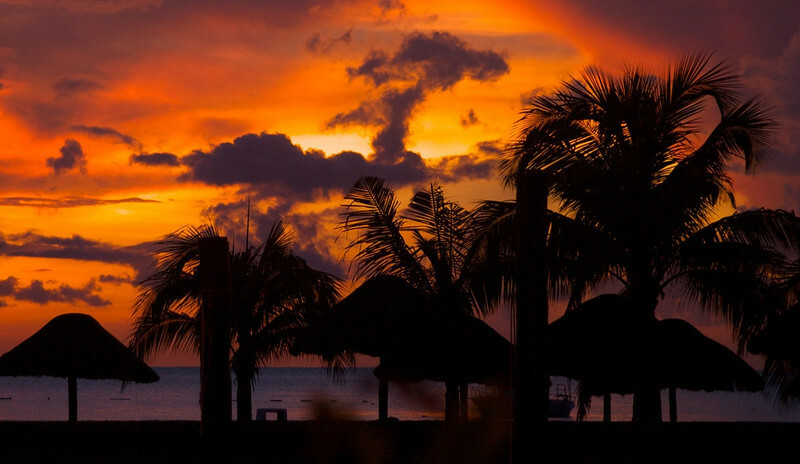 Cancun – One of the most popular beach destinations in Mexico with great nightlife, and a popular choice. Mexico has some of the most impressive historical sites in the world, and each of them is unique and give you a glimpse into the country’s colorful history. 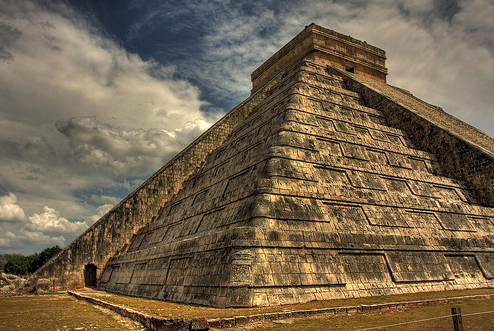 Chichen Itza – undoubtedly one of the wonders of the world. Founded in 495 AD the ruins are absolutely spectacular. Coba – the largest of the Yucatan sites, Coba contains some 20,000 structures, and was once home to 40,000 Mayans. There are many more foods to try, beaches to enjoy and especially historical sites to explore in Mexico, but these suggestions will give you a good idea and a taste of what the country offers.